With the rumor mill starting to churn in advance of Apple's expected September release event, a new report cites manufacturer Quanta as the manufacturer of the device -- with shipments starting sometime before Christmas. According to a new report from Chinese-language Economic Daily sourced from the supply chain, Apple's existing Apple Watch supplier Quanta is expected to continue production duties. While the new report sheds no additional light on the specifics of the device, it does note that the next version of the Apple Watch is in the final test phases before it heads to the production lines. 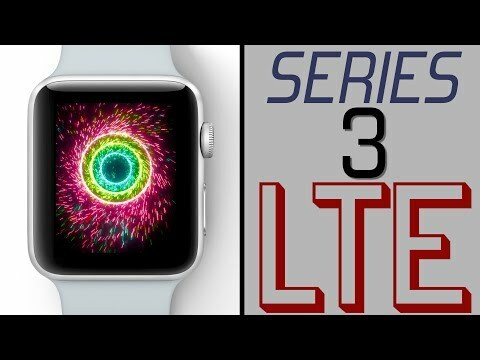 Rumors of a September launch for any Apple Watch "Series 3" started very recently, with initial claims suggesting that a redesign was happening, in conjunction with the addition of a LTE radio. Details still conflict depending on the source, with some reports claiming that there is a Qualcomm modem internally, and others saying Intel will provide the baseband. As usual, Apple is expected to have a busy end of the year. The company is expected to host a media event headlined by the unveiling of its next-generation flagship "iPhone 8," along with an "iPhone 7s" series. If the predictions are accurate, the "Apple Watch Series 3" will launch around the same time, while other, previously announced products like HomePod and the iMac Pro are scheduled to arrive in December. I don't mind if the size stays the same, but I'd be let down if at least the bezels don't shrink for more display. How different a design can it be? It will fit on the wrist and be about the same as the last one. But whoa! Looks like's it's gonna be ANOTHER Apple product that will ship late. Doomed. How different a design can it be? It will fit on the wrist and be about the same as the last one. I'd like a wider display that's extended 50% or more on the side opposite the digital crown. Widescreen Apple Watch! I'd like the display to grow in size as the bezels are reduced. I think the general trend will be like the smartphone where the 3.5" display on the original iPhone was deemed excessively large and ridiculous by dissenters that then said it was too small as soon as Android-based devices started pushing for larger displays to differentiate themselves from the iPhone and needed more internal volume to house internals due to its lesser development in compacting components. As the utility of the smartwatch grows the display will increase. We may even see the aspect ratio change to one where it's wider than it is tall, but I think that will take a culture change that will be more difficult since there's an increased aesthetic component over the smartphone's cultural change in display size.